Felt strange, but good, to be back on an upright bike today. Rode with one of my best friends, Rick Feller, through the old neighborhoods where we both grew up in Sharonville, OH. Was struck by how much smaller the streets of my youth appear today. 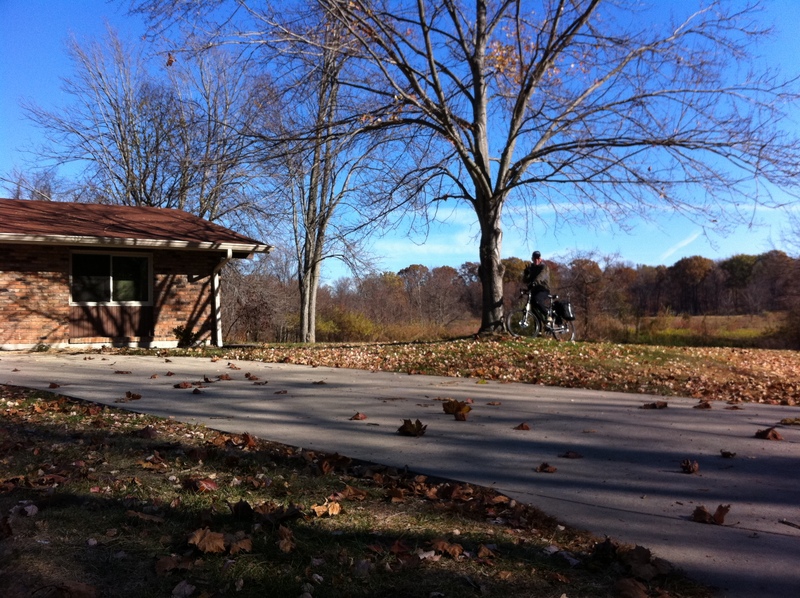 Pedaled past my childhood home on our way into Sharon Woods on a glorious, sunny fall day. Grabbed some lunch at Skyline (thanks, Rick! ), then back to Sheryl & Joe’s to shuttle the trike to a fire station in downtown Cincinnati for tomorrow’s Monday Night Football festivities. Was treated to dinner by Sheryl & Joe (thanks, again, guys! ), then back to the house to finish up this blog. This entry was posted in 2010 Ride, Blog, Video and tagged ride for renewables, sharon woods, sharonville, skyline chili. Bookmark the permalink.